Over on Lord Monckton’s Rap Sheet, I showed quite clearly that Christopher Monckton is not the most… reliable source of information. Usually he would be the kind of person one would politely ignore, but I decided to publicly document his antics because he is constantly being touted as an expert on (what’s wrong with) climate science by some very powerful politicians and media personalities, foundations, and even by a few scientists (who almost invariably are not climate specialists.) The purpose of this page is to document who the politicians, media personalities, foundations, and scientists are, who have treated Monckton as if he were a credible source of information about climate science. The sorts of people who are Monckton boosters have one thing in common–they want to be perceived as the sort of no-nonsense iconoclasts who aren’t afraid to question the status quo. “So what if 97% of climate scientists think humans are significantly affecting the global climate? If you want me to believe it, you’re going to have to prove it to me!” they say. That would be fine, except that when we are dealing with a complex, technical subject, it generally takes several years of very hard work to get to the point where you can make informed judgements about conflicting expert opinions. Most people are way too lazy for all that work, so if they don’t want to defer to an overwhelming majority of the experts, they start pretending. That is, they find plausible-sounding sources of information that go against the status quo, and then pretend that their favored sources blow the consensus out of the water via an irresistible barrage of logic and facts. In reality, these people don’t have a clue who is right–they just pick whatever side fits their preconceived notions or political ideology. In doing so, they leave themselves wide open to be taken in by anyone who will tell them what they want to hear and make it sound “scientific” to a non-expert. Even so, they should have known better, in this case. His Lordship has gone about falsely claiming to be a member of Parliament, claimed to invent a miracle cure for AIDS, MS, Graves’ Disease, herpes, the flu, and the common cold, and his “science” has been debunked many times by scientists. Anyone can grasp the first two examples I cited, and as for the science, anyone can start looking up the papers Monckton cites and start noticing that the authors often come to the exact opposite conclusion from Monckton’s. In short, it doesn’t take a rocket scientist (or even a climate scientist) to figure out that Monckton is rather suspect as a source of information. So beware, would-be climate iconoclasts! If you insist on relying on Lord Monckton for your information, your name might just end up here, prominently featured with Lord Monckton’s Rap Sheet. This time, I’m just going to get the ball rolling and rely on readers to help me collect more examples. Please help me keep up by posting comments, complete with linked references. If you are one of the people featured on this page, feel free use the comments section to a) try to defend yourself (I may even remove you from the list if it was an error,) or b) publicly repent. 1. Joe Cobb, a Libertarian candidate for Congress, endorsed Monckton here. 2. Rep. John Shimkus (R-Illinois) totally ate it up when Monckton told him that CO2 is “plant food”. 4. Rep. John Shadegg (R-Arizona) is on the House Select Committee for Energy Independence and Global Warming. The Republicans on that committee invited Lord Monckton as their sole witness at a hearing about the state of climate science. Shadegg ignored all the scientific evidence the scientists there presented, and focused on Monckton’s commentary about an IPCC graph that indicates an acceleration in global warming over the last century. 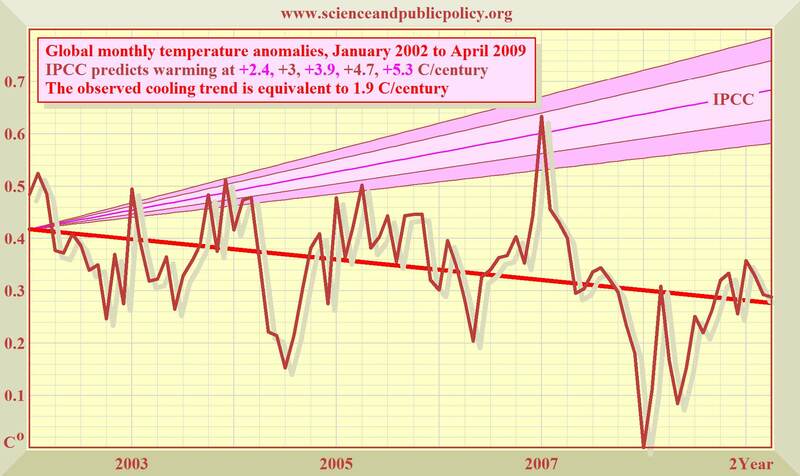 I believe Monckton was right that the trend periods presented on the graph were cherry-picked. However, Monckton went on to tell his made-up story about how Rachel Pinker’s recent paper on global brightening/dimming shows that the most recent episode of warming has been naturally caused. 5. Rep. John Sullivan (R-Oklahoma) is on the House Select Committee for Energy Independence and Global Warming. The Republicans on that committee invited Lord Monckton as their sole witness at a hearing about the state of climate science. Even though Sullivan endearingly kept calling Monckton “Lord Monckington,” he asked His Lordship to “explain why you are a Lord” after Rep. Jay Inslee attacked Monckton’s claim to be a member of the House of Lords. He later asked Monckton a couple softball questions. 6. Utah Rep. Mike Noel (R-Kanab) taunted a number of local scientists (including me) who had urged the Utah Legislature not to adopt a resolution that distorted the state of climate science, made contradictory claims, and advocated conspiracy theories. In other words, he didn’t have a clue how to defend himself. 7. Utah Rep. Margaret Dayton (R-Orem) also taunted a number of local scientists (including me) who had urged the Utah Legislature not to adopt a resolution that distorted the state of climate science, made contradictory claims, and advocated conspiracy theories. 8. Tony Abbott, the Opposition Leader in the Australian Parliament, met with Monckton to discuss climate change. His defense? He’s not an “intellectual snob.” I have to agree. 9. The UK Independence Party (UKIP) adopted Monckton as their Deputy Leader. He was even briefly one of their candidates for the House of Commons, even though members of the House of Lords aren’t allowed to run for seats in the House of Commons. Funny how that worked. 15. Rep. Devin Nunes (R-California) cites Monckton on his website while arguing that global warming is all a big scam. 17. The Climate Sceptics Party in Australia paid an enormous sum to get Monckton to come out and speak. 1. Bob Arthy reported the most sycophantic interview of Monckton I’ve ever seen on WebCommentary.com, which is run by Bob Webster. 2. Janet Albrechtsen of The Australian said that, “When Monckton talks about the science he is powerful,” but chided His Lordship for calling people Nazis and Communists. 4. Joanne Nova gushes over Monckton in several posts on her blog. 5. Anthony Watts has consistently given a forum to Monckton on the Watts Up With That? blog. Watts even characterized Monckton’s reply to John Abraham as “jam packed with essential points.” I guess he means the one about how Abraham is REALLY only an “Associate” Professor, even though he said he was a professor. 6. Andrew Bolt talked up Monckton in The Herald Sun. 7. Glenn Beck had Monckton on his show and didn’t question a single claim he made. 8. Miranda Devine of the Sydney Morning Herald wrote this homage to His Lordship. 9. Jerome Corsi of WorldNetDaily approvingly reported on one of Monckton’s speeches here. 10. Steve Milloy just bubbles with enthusiasm for Monckton on the popular Junk Science blog. 11. Michael Savage has Monckton pretty regularly on his radio show. 12. James Delingpole, a commentator for The Telegraph in the UK, says he’d rather have Monckton in a foxhole with him than George Monbiot. Well, James, you’re in that foxhole, now. Enjoy the company. 13. Michael Coren, a Canadian journalist, had Monckton on his show. Coren started out by saying that he doesn’t claim to be an expert about climate change, but introduced Monckton as “someone who IS an expert.” He went on to encourage his viewers, “Don’t believe anything. Do your own work of research. You may then conclude, ‘You know what? David Suzuki, he is just another human being who gets it wrong sometimes. '” Really, Mr. Coren? Have YOU gone and checked Monckton’s claims for yourself? Or did you just encourage your viewers to do so because you wanted to sound like a hard-nosed, iconoclastic journalist, and then swallow everything Monckton said whole because he is an expert, after all? 14. Piers Akerman of The Daily Telegraph highlighted Monckton as a “distinguished sceptic.” Akerman acted like Australian Opposition Leader Malcolm Turnbull’s support of “the climate change argument” was going against the grain, given “a growing number of distinguished sceptics coming forward on an almost daily basis.” And yes, Monckton was the ONLY example he gave of all these “distinguished sceptics” coming out of the woodwork. 15. Theo Richel, a Dutch journalist, totally sucked up to Monckton in this interview, where Monckton claimed he was having Rajendra Pachauri jailed for fraud. Still waiting for the hammer to come down…. 16. Andrew Orlowski at The Register (UK) was incensed that Monckton’s non-peer-reviewed article in an APS newsletter was labeled as such after Monckton and his followers went around claiming otherwise. 17. Surprise!!! Rush Limbaugh is a Monckton fan. 2. The Heartland Institute also relies heavily on Monckton, and consistently invites him as a keynote speaker to their conferences on climate change in March 2008, March 2009, June 2009, May 2010. Yes, that’s every single one so far. 3. Monckton is the “Chief Policy Advisor” for the Science and Public Policy Institute (SPPI), or more aptly, sppinstitute.org. As of Aug. 19, 2010, they still have Monckton listed as a Nobel Laureate on their personnel page, even though the Director, Bob Ferguson, has been informed that this is false for some time. Methinks he doesn’t care. 4. The Minnesota Free Market Institute invited Monckton to speak in St. Paul. 5. Americans for Prosperity (AFP) invited Monckton to speak, as well. 6. The Competitive Enterprise Institute (CEI) relies heavily on Monckton. See also the references to Monckton on their globalwarming.org site. 9. The ironically named Accuracy in Media (AIM) often approvingly refers to Monckton. 10. Friends of Science (FoS) sponsored a Canadian speaking tour by Monckton. The bio they posted for His Mendacity lauds him for issuing “A Churchillian Reproof to Senators Rockefeller and Snowe”. Well, you know, there are a lot of similarities. Like how Churchill was actually a member of Parliament, and then later the Prime Minister, and Monckton claimed to be a member of Parliament in his letter to the two Senators. Ok, so I didn’t say they were exactly alike. 11. The Frontier Center for Public Policy co-sponsored Monckton’s Canadian tour, and often cites him on their website. 12. Freedomworks sponsored a “Tax Day Tea Party,” where Monckton was listed as a speaker. They complain that the “Lefties” are “freaked out” by the Tea Party Movement, and have “done everything they can to keep them out of the mainstream coverage and paint them as a fringe movement.” Yeah. It’s all the Lefties’ fault. 13. The Institute of Public Affairs in Australia had Monckton as one of the speakers in its conference on “The Economic Consequences of Climate Change Policy”. 1. William Dembski (of Intelligent Design Theory fame) lauded Monckton’s testimony before Congress. 2. Willie Soon is the Chief Science Advisor for the Science and Public Policy Institute, where Monckton is the Chief Policy Advisor. 3. William Kininmonth is a science advisor for the Science and Public Policy Institute, where Monckton is the Chief Policy Advisor. 4. Bob Carter is a science advisor for the Science and Public Policy Institute, where Monckton is the Chief Policy Advisor. 5. Craig Idso is a science advisor for the Science and Public Policy Institute, where Monckton is the Chief Policy Advisor. 6. Joe D’Aleo is a meteorology advisor for the Science and Public Policy Institute, where Monckton is the Chief Policy Advisor. 7. David Legates is a science advisor for the Science and Public Policy Institute, where Monckton is the Chief Policy Advisor. 8. Ian Plimer, author of Heaven and Earth–Global Warming: The Missing Science, suggested the Climate Sceptics Party in Australia invite Lord Monckton to speak alongside him. Plimer cited Monckton a couple times in his book, as well. 9. Joe Bastardi (a famous contrarian TV weatherman) used Monckton’s fake temperature graphs to show that the globe is cooling, contrary to IPCC projections. 10. Roger Pielke Sr., a Meteorology professor, featured a guest commentary by Monckton about climate feedback on his blog. 11. John Brignell, the engineer who runs the Number Watch site, dedicated to “the monitoring of the misleading numbers that rain down on us via the media,” teared up over Monckton. “Just at our darkest hour, when the new godless religion seemed to be sweeping all before it, a major newspaper has produced a two-page broadsheet article telling the truth about the global warming hoax.” I love this quotation, as well. “Despite his arts background, he has amply demonstrated that he understands both the physics and mathematics of the global warming scare. He is a giant among dwarfs on the international scene. He has an intellectual mastery of the facts coupled with the gift of oratory. He is the Winston Churchill of his time, standing virtually alone in defiance of the antidemocratic forces that threaten to take over the world.” Methinks Mr. Brignell has not been apprised of Monckton’s tendency to put the wrong numbers into formulae. Barry, you are such a blue meanie! You may also wish to add the so-called Friends of Science to your dishonour roll They, along with the Frontier Centre for Public Policy, sponsored a tour of Canada by Monckton in 2009 . Both organizations frequently cite Monckton as a credible authority on climate. Thanks! I put them up. This one doesn’t quite do it for me, since Rosenthal didn’t express any agreement with Monckton. People can still follow your links from the Comments, though. John Brignell, an electronics engineer (a good one), admires Monckton. Not only does he debunk the claims of the congenitally fraudulent UN IPCC (many of us have done that) he details how the conspiracy was penetrated. … Furthermore, he appends a pdf document with his references and calculations, making the whole exercise a triumph of reason over prejudice. No doubt Viscount Monckton is in line for the usual character assassination that follows telling the truth about the scaremongers. If you are one of those who have not yet heard the peroration of Christopher Monckton’s speech in Minnesota hear it now. Then hear it again. Then pass it on to your friends and neighbours. Regular readers will know that Number Watch is not inclined to make obeisance to those in the public eye. Christopher Monckton is different. Despite his arts background, he has amply demonstrated that he understands both the physics and mathematics of the global warming scare. He is a giant among dwarfs on the international scene. He has an intellectual mastery of the facts coupled with the gift of oratory. He is the Winston Churchill of his time, standing virtually alone in defiance of the antidemocratic forces that threaten to take over the world. Oh, Dale. A “giant among dwarfs.” Does that mean he is taller than the other dwarfs? Perhaps we need to call SWAT. Your example is now included above. Then they got 0.03% of the first-preference vote in the House of Reps election on August 21. Actually their House of Reps vote works out to 317 parts per million. Which, as the sceptics are fond of pointing out, is a tiny amount that couldn’t possibly have any effect. @Gaz haha oh the irony! Got it. Did you see how Abbott defended himself by saying he’s not an “intellectual snob”? Give him an award for understatement! @Gaz, oh don’t you worry. The Climate Sceptics Party will, as climate sceptics have been shown to do, spin their nonsensical election result as “rocking the political landscape to its core”, or some such deluded claptrap! Janet Albrechtsen & Miranda Devine are seriously poisonous wing nut harpies. Truly appalling obnoxious scum. Their opinions on, well, anything really, need to be taken with universe sized pieces of salt. Still in Australia, the Institute of Public Affairs have published a book that they spruik as “But what do we really know about the science of climate change? Is climate change caused by humans?… with contributions from Ian Plimer, Richard Lindzen, Nigel Lawson, William Kininmonth, Willie Soon, Christopher Monckton, Garth Paltridge, Alan Moran, and John Roskam”! Joe, I included an entry above for the IPA, but I couldn’t find the particular book you were talking about. Can you give me a more specific link? My suggestion would be that the UK Independence Party (UKIP) should probably be on there, as it made him their (shudder) science spokesperson. I posted this under the politicians heading. Also radio host Michael Savage. But the question of who discredits whom in a Monckton-Savage meet-up is far from clear. Re: Australian vote results: clearly a case of homeopathic politics. I think you can add Michael “Savage” Weiner to your list: his new book mentions Monckton. For those who don’t know, Monbiot is George Monbiot, a rival on The Guardian (but someone who does actually have a science degree, unlike Delingpole). I remember that one! Posted above under Media. Australian journalist Piers Akerman, a seriously unhinged columnist from the Sydney Daily Telegraph. Only marginally less nutty than fellow journalist Andrew Bolt (who defines the nuttiness scale down under). He was the one who originally misquoted former IPCC head Sir John Houghton. He has regularly mentioned Monckton, among numerous other notorious denialists. Posted under Media. I love how Monckton was the only example he gave of all these “distinguished sceptics”. Monckton is who Republicans brought to a U.S. House Subcommittee on Energy and Environment hearing as an expert witness. Energy and Commerce Committee Minority Ranking Member Joe Barton (R-TX) referred to Monckton, in his opening remarks, as being generally regarded as one of the most knowledgeable, if not the most knowledgeable, experts on the skeptic side. And if I’m not mistaken, Barton was involved again. http://dirtyenergymoney.com/ offers an insight into certain US politicians’ funding. Seems a bit harsh to me. Your link brings up 6 references. The first, from 2010, is less an endorsement of Monckton than a dig at the EPA. The remaining five are from Nov 2006, not posted by McIntyre. Of those, two are continuation posts for comments. That gives 3 substantive references in Nov 2006, none posted by McIntyre. I haven’t read all of them, but the third (“Gore Gored”) opens with the statement “I know that Steve does not agree with all of Monckton’s analysis, so can we take that as read?” and I see McIntyre chips in to emphasise the point. Good point. I altered the entry to reflect this. Another name for you for His Nibs’ sycophants under “Media”: prize climate denialist idiot at The Register, Andrew Orlowski. Congratulations on your list. I’m sure many of those named are proud to be associated with such a great chap, as would I.
I bask in his aura, as well. The cult of Monckton is explained by the Friends of Gin & Tonic (with a little help from Douglas Adams). The Abbey appreciates that your meditations have turned toward matters Theological, but we think perhaps a little more humility is in order. One does not EXPLAIN a Mystery such as The Monckton. One merely accepts that it IS. What do you suggest as an appropriate penance? “A weather expert says December 2005 is on pace to become one of the 10 coldest in more than 100 years, despite claims at a global conference on climate change this week that the Earth is getting warmer. Joe Bastardi, senior meteorologist with Accuweather.com, says present weather patterns across the country show below-normal temperatures in the single digits, with still colder air forecast in the coming weeks. In practice, Dec. 2005 turned out to be the 2nd warmest December on record (up through 2005). Does the phrase “Out of touch with reality” come to mind? Joe Bastardi also appears to be guilty of unprofessional conduct in that his Global Warming Denial is part of a political agenda. For example, there is a chart that shows “Global Cooling” some 80 to 95 seconds into a Joe Bastardi video that can be seen at http://www.youtube.com/watch?v=z6Y2iF99kOY . (A close-up of the chart can be seen at http://icecap.us/images/uploads/SPPI8YR.jpg ) Note that the source of the chart (as seen in the close-up) is “www.scienceandpublicpolicy.org”. 1) The source of the “data” is left as a mystery. 2) The time period of 1998 to present is much too short to be representative. 3) The starting year of 1998 is about a blatant example of “cherry picking” as you are ever going to get. “Notes on the Science and Public Policy Global Cooling graph. Congressman John E. Peterson (R-PA) from 1997-2002 and Chief of Staff to Congressman Rick Renzi (R-AZ) in 2002. In reality, the only known Viking settlement in North American was at “L’Anse aux Meadows”, and this was used as a staging ground for expeditions that extended as far south as Nova Scotia. Bastardi’s claim that it was warm enough 1,000 years ago to grow grapes in northern Newfoundland is simply an arrogant fantasy. In summary, Joe Bastardi is promoting a political agenda from a person who “has 26 years of Capitol Hill experience” instead of sticking to the science of meteorology. Bickmore delights in taking down strawmen and ignoring the essence of the arguments. It may be that the name “Vinland” constituted false advertising, or that it did not refer to America, but are we certain no Canadian grapes are of European origin, or that no settlers cultivated native vines? And the fact remains that during the MWP grapes WERE grown in England, where it remains too cold to this day. Um, there are over 400 vineyards in Britain today. Look it up. And when did I blame record cold spells on GHGs? The trouble is that many people, principally Deniers and those that believe their lies make false statements. Here is visible proof that there are vineyards in the UK. One is modern commercial, the other (Painshill Park) IIRC, was a very large private Estate, now restored and open to the Public and dates back to the 18th Century. I have walked through the Painshill vinyard, it isn’t very large (originally it served a single stately home) and have driven past the Denbies Estate. Just i case you don’t believe the aerial photograph, here’s a photo of the entrance sign. OK, I should have said until modern times (1950), when scientific selection and breeding could be introduced. Again you are quibbling over trivia and ignoring the critical point, which is that viticulture once thrived in England, but did not enjoy long term success after the Middle Ages until the 20th century, probably due to climatic factors. And the current viticulture may not last longer than the 17th century experiments. Your claim that the notion that grapes were grown in northern Newfoundland is “simply an arrogant fantasy,” seems remarkably arrogant when considering that even now there is a tiny winery functioning on the island. Are you suggesting that the Vikings really didn’t discover or grow grapes anywhere, or are you insisting that the MWP was cooler than the present climate there? Keep in mind that Newfoundland is only a degree colder than England in July and August, though the growing season on average is about 3 or 4 degrees colder than England’s. Moreover even the north tip of the island is within the lattitudes generally asserted to describe the winegrowing climes: 30-50 degrees. I’m glad to hear you don’t blame cold spells on GW. How about the warm spells? There is 18th century vineyard, albeit a restored, at Painshill Park. The gardens have been restored, because they fell into disrepair after WW2. See my earlier post for a much larger commercial vineyard near Dorking. What scientific evidence can you cite that the Vikings had vineyards in Newfoundland? There seem to be lots of CLAIMS, but reliable FACTS seem to be very thin on the ground. By evidence, I mean peer-reviewed evidence in an appropriate ISI WoS Journal. BTW, a non-response will be taken as meaning you have no evidence. The Painesville land was sold after WWII but the vinyards were gone by 1900. These were minor, experimental, unprofitable ventures, but it is remarkable that they existed at all at the close of the Little Ice Age. Modern English viticulture did not resume until 1950, and only in the 20th century became profitable, able to compete with continental wines, which had not been the case since the Medieval Warm Period. Of course there is no proof or even probability that Amerinds or Vikings grew grapes at L’Anse Aux Meadows, but the two relevant facts are these: 1) Vikings settlements have been discovered there and, 2) They called their settlement “Vinland.” But we don’t know whether “Vinland” refered to the known settlements, and we don’t know for sure that the name accurately described any discovered land. Native Americans are not known to have made wine, but there’s a good chance the Algonqian long houses were patterned after the Norse buildings. That the Norse made every effort to produce wine is to be greatly expected, but the ancient claim that the natives were already doing it is not credible. So begins an oldie but goldie post over at RealClimate that does a great in depth job of deconstructing this English vineyards strawman. In Margarets Thatchers memoirs she makes no mention of Monckton as an advisor, ,she was instrumental in setting up the IPCC. In 1974 Lawson was elected a member of parliament for the Conservative party. He held his seat until 1992. As a member of parliament, Lawson was eventually named Chancellor of the Exchequer—the highest economic and financial position in the British government—by Prime Minister Margaret Thatcher. Lawson held this position from 1983-1989. Currently Lawson contributes guest columns to world newspapers. He is the founder of The Global Warming Policy Foundation, a think-tank skeptical of the science behind anthropogenic (man-made) global warming as well as the policies that are being implemented to curb climate change. Even though Lawson has no professional credentials in the area of climate change, and is relatively new to the conversation, he has managed to emerge as an “expert” voice on the subject in the media. Climate skepticism runs deep in the Lawson family. His son Dominic Lawson is a journalist for the British newspaper The Independent. Dominic Lawson has used his columns to question the science behind climate change and criticize the IPCC. Dominic Lawson is married to Rosa Monckton, the sister of the infamous climate denier Christopher Monckton.